Congratulations to Kaleigh Mayne (flute) and Emilio Asgeirsson (percussion) for being voted into the 2014 Homecoming Court! 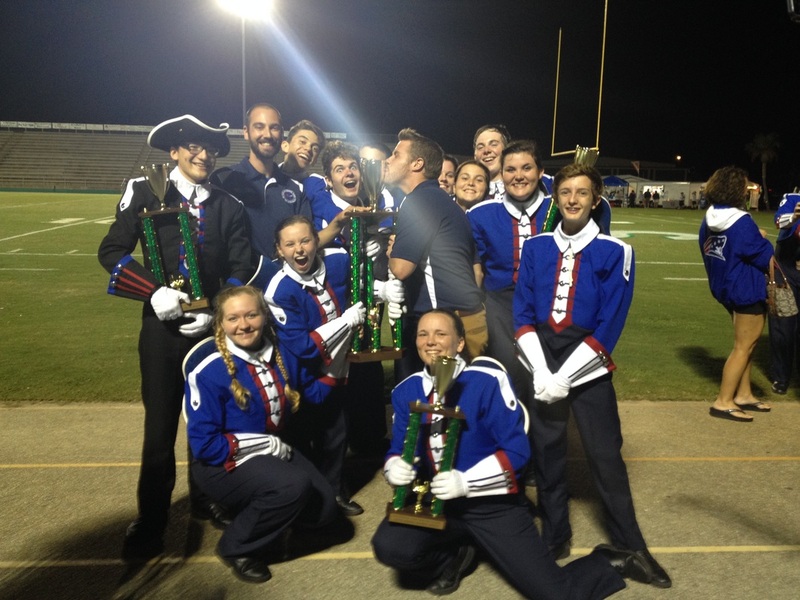 Band Directors and Models of the week celebrate after winning the Emerald Coast Marching Classic on October 18th, 2014. On October 11th, 2014, "The Pride of the Red, White, and Blue" earned Straight Superior Ratings at the Florida District 1 Marching Music Performance Assessment! On October 18th, 2014, "The Pride of the Red, White, and Blue" was awarded a Grand Champions trophy at the Emerald Coast Marching Classic competition at Choctawhatchee High School. These students were selected to perform at the Tri-State Band Festival at Florida State University on December 4-7th! The Pace High Band program had a RECORD number of students get accepted into a Florida All-State Ensemble this year! Each of these students will be representing Pace High School in Tampa, FL at the Florida Music Educators Association state convention. Congratulate them! Congratulations to the following students on their acceptance to participate at the annual All South Honor Band weekend held at The University of Southern Mississippi in early February! On February 20th, Pace Band students brought home a record number of 136 Superior medals at the Florida District 1 Solo and Ensemble Contest. Many of our talented students performed in multiple events ranging from solos, duets, trios, quartets, quintets, and three choirs (brass choir, woodwind choir, and saxophone choir). Congratulations to all students who participated! 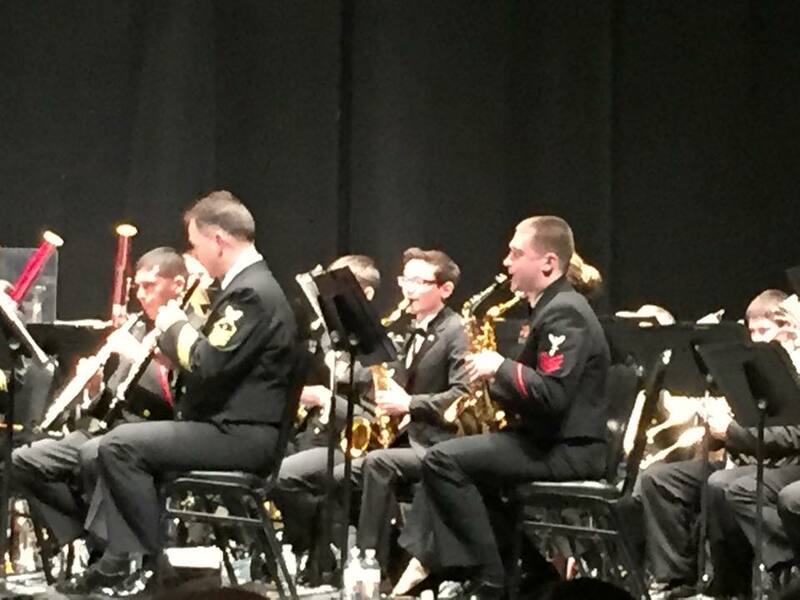 On February 23rd, senior tenor saxophonist Jarrod Colley received the opportunity to perform with THE U.S. Navy Band on their local tour stop in Pensacola. Jarrod joined several other local high school students who performed Washington Post March with the band at the Saenger Theatre. On March 6-7th, members of the Wind Ensemble, Symphonic Band, and Jazz Ensemble earned Straight Superior ratings at their annual Music Performance Assessments at Pensacola High School. Members of the Concert Band earned an Overall Superior rating. On March 15th, the Varsity Winter Guard earned 3rd place at the WGI Pensacola Regional. On March 21-22nd, the Indoor Percussion ensemble made finals and earned 8th place at the WGI Mid South Percussion Championships in Bowling Green, KY.
On March 21-22nd, the Varsity Winter Guard made finals and earned 7th place at the WGI Southeastern Color Guard Championships in Orlando, FL. On March 23rd, junior Chase Pellerin (marimba) and freshman Andrew Colon (tuba) each earned a Superior with Distinction rating at State Solo and Ensemble Contest held at Bucholtz High School in Gainesville, FL. On April 2nd, the Jazz Ensemble earned Straight Superior ratings at the University of Mobile Jazz Festival held at Saraland High School. 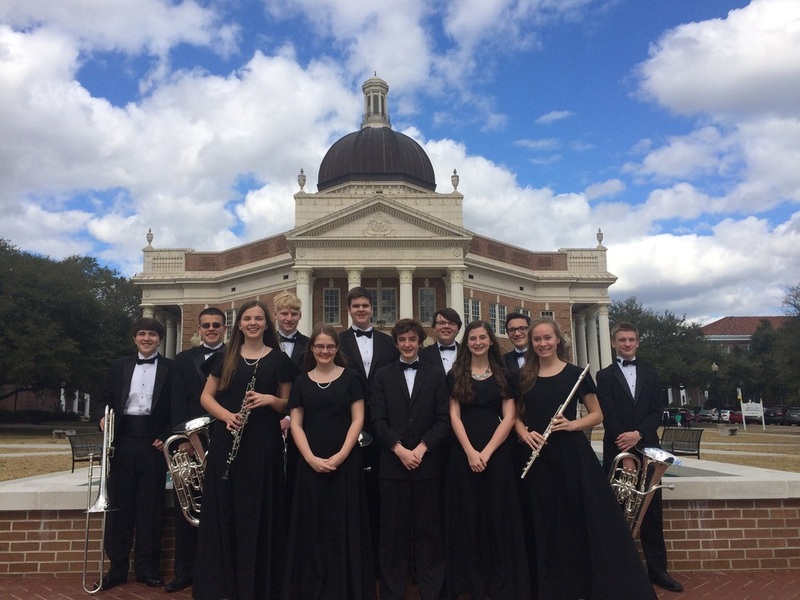 On April 24th, the Wind Ensemble earned Straight Superior ratings at the State Concert MPA held at Northwest Florida State College. This performance qualified the Pace Band program to receive the prestigious Otto J. Kraushaar Award for receiving a straight superior ratings at marching, district concert, and state concert MPA's.